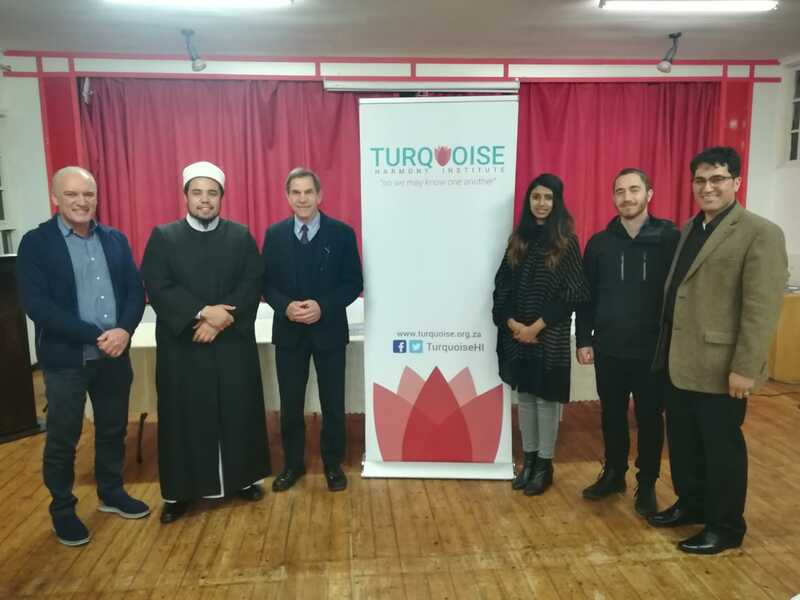 Kirtanya Lutchminarayan recently spoke at an event hosted by the Turquoise Harmony Institute, exploring different religious holidays. Kirtanya spoke about the important days in Hinduism, their significance, meanings, what is commemorated and they are celebrated. The event took place at the Star College in Sybrand Park. Below is the speech Kirtanya delivered. “If we look at the world around us we notice the state of chaos which is attributed to our desires. As long as there are desires within, the mind helplessly runs seeking fulfilment. Religion is meant to help us withdraw our minds from preoccupation with the world at large and converge to the single-pointed thought of the Self within. When the mind is brought to single-pointedness it can be directed towards meditation and realisation of the supreme Godhead. To circumvent the great hurdle of the rambling mind, Hinduism has thoughtfully brought in gods and goddesses, rituals and festivals, ceremonies and celebrations. The master plan of the Hindu sages is to divinise everything in this world since our attention has always been upon the world. By this plan, the mind is reminded of the Supreme even as it is engaged in the desired objects of the world. For instance, Hinduism has personified wealth and riches in the form of the goddess Lakshmi. So one who runs after material wealth is made to remember the goddess in all their transactions. Thus a touch of divinity is lent to one’s material pursuits. Another person may pursue knowledge. Knowledge is personified as the goddess Saraswati. So their mind is also drawn to the higher even though engaged in the pursuit of worldly knowledge. There are numerous so called gods covering the entire sphere of human activities. It is also important to note that Hindu festivals are celebrated according to the Hindu calendar and this depends on the position of moon with respect to earth. The range of expression in Hinduism is as large as India. Northern Indians have different traditions than those in the southern part of the country. Hindus venerate a variety of deities such as Rama, Krishna, Ganesha, Hanuman, Shiva. Some view the deities as various forms of a supreme god, and different regions are more devoted to certain gods. Languages and rituals used in worshipping vary greatly. There is a general misunderstanding that Hindus worship innumerable gods. When we talk about the divine, Hinduism actually speaks of one god that is the supreme Self that exists in all. And the different gods and goddesses are mere representatives of the powers and functions of the supreme in this manifested world. Two major aspects of any Hindu festival or religious day is fasting and chanting of the holy name. Fasting is a major part of observing any Hindu festival. This is usually in the form of no meat, or intoxicants, a way of life that is an ideal for any Hindu. In the scriptures of the Ramayana there is a saying “whatever food a person eats the same is the food to be offered to their deity.” A philosophy in Hinduism known as Ayurveda means ‘knowledge of life’ and originated more than 4000 years ago, making it one of the oldest systems of well-being known to man. Ayurveda that says food is medicine when consumed properly. Food is considered just as powerful as medicine. In fact, there are ancient texts that explain when we eat foods uniquely suited to our physiology, and follow a sattvic (life supporting) routine that enhances digestion, our bodies will reap the benefits and enhance well-being. Fasting therefore is a way to help raise our vibrational levels and take our focus from the gross to the subtle. Chanting of mantras are also central to Hinduism. Mantras are Vedic in origin and date back to over 3000 years old. The teachings of the Vedas consist of various Mantric chants or hymns cognized by different seers or Rishis from the Cosmic Mind. Since the Vedas are impersonal and eternal, the exact historical date of the origin of Mantra chanting is hard to arrive at. For example, every Mantra in the Vedas, Upanishads and various religious traditions within Hindu religion begin with Om or Aum – the primordial sound, the sound that is said to have its origins at the time of the creation of the cosmos – also referred to as the ‘Big Bang’. Music is essential to the worship experience, Hindus say, because it arouses the senses and creates spiritual vibrations that enhance devotion. Singing the various names of God is a means by which one can effortlessly pierce through the chaos and layers of the mind to reach the heart. By constantly singing powerful simple mantras with enchanting melodies, it allows us to delve into the depths of our being. In eastern philosophy the one supreme principle or God is revealed in a number of ways. Each deity is a facet, a portal to the ultimate. By singing together in a congregation the vibrational effect of the mantra, and the impact of the music is amplified. Like mirrors next to a candle, the spiritual upliftment of one person naturally influences those around. This is the purpose of satsang – being in the company of other positive, spiritual people. Now as I mentioned, there is a day celebrating each of the forms of god that are associated with our activities. The first example is Navartri, or nine nights that honour the 9 forms of the goddess. The Divine Mother is the energy which has given birth to the entire universe including the celestial stars far away and the subtle mind and its emotions. Called ‘shakti’ which means energy, the Divine Mother is also responsible for running this creation. Navratri is a time where Hindus worship all the names and forms of the Divine Mother. During this time we acknowledge that our lives are also governed by three ways of bein and we seldom recognize and reflect on them. The first three days of Navratri are thus attributed to tamas (intertia), the next three days to rajas (activity) and the last three days to sattva (tranquility). Our consciousness sails through the tamas and rajas state and blossoms in the sattva guna on the last three days. The nine-day period of Navaratri is marked by a series of fire rituals where offerings of natural and fragrant herbs are made, which are said to nullify misery, sorrow and pain in the world. In life, there are positive and negative qualities that affect us and this negativity is offered into a sacred fire to rid ourselves of ego, greed, jealousy, hatred and to help purify ourselves. The festival is also celebrated through song, dance and colourful traditional dress. Spiritual culture in Hinduism was preserved by ancient sages who were given the highest philosophical and religious truths from scriptures such as the Upanishads, Bhagavat Gita, Brahmasutras. However these truths were beyond the grasp of the common person. Hence they have been presented in a veiled form through stories in the Puranas, as well as through rituals and symbols. Let’s take the well-known festival, Diwali for example is a Hindu festival symbolizing the victory of good over evil, light over darkness and knowledge over ignorance. Diwali is celebrated this year on 7 November and known as the festival of lights. The symbolism is that once the light of knowledge dawns from within, then there is light everywhere in the world around us. To convey the unique importance of this spiritual knowledge in our life, Diwali is celebrated all around the world. Diwali links closely with ancient Hindu epics and scriptures such as the Mahabharata and the Puranas. The story of Diwali came about when Lord Rama returned to Ayodhya after completing 14 years of exile – everyone in the city celebrated His return by lighting clay lamps everywhere. There are four major aspects of Diwali: Lighting of lamps in one’s home – Symbolic of igniting the light within and spreading knowledge. Lighting lamps also symbolises dispelling the darkness, meaning the darkness of ignorance and negativity. Gift exchange and distribution of sweets – Sweets dispel any bitterness and is symbolic of a renewed friendship, sweets and fruit offerings are part of most if not all special days in Hinduism. Feeling of abundance and gratitude -It is a day to feel grateful for all that we have. It is also a sign of a new beginning, so homes are cleaned and new clothes are worn. Ram Naumi is another festival celebrating Lord Rama. Ra” in Sanskrit means “That which is Radiant” and “Ma” stands for “Myself”. That which shines forth within me, is Rama.That which is radiant in every particle of the Being is Rama. Rama is born to Dasharatha and Kaushalya. Dasharatha (In Sanskrit this means “the ten charioted one”) signifies the five organs of sense and the five organs of action. Kaushalya (Sanskrit for “skilled”) stands for skill. The skillful reiner of the ten chariots can give birth to Ram. When the ten are used skillfully, radiance is born within. Lord Rama is also the embodiment of truth, morality, the ideal husband, son and King, and reminder of the qualities to aspire to. Hanuman Jayanti is celebrated on the pournima (full moon day) of the Hindu Lunar month of Chaitr. Hanuman is regarded as the ultimate devotee, and is celebrated and worshipped for His supreme devotion to Lord Rama. His qualities include loyalty, having no ego, surrender and sacrifice, faith, fearlessness and righteousness. In some places coconuts are broken in front of Lord Hanuman’s image, as an offering. Breaking of a coconut signifies the ’shattering’ of one’s (’hard’ to overcome) ego and intellect at The Lord’s Feet. Lord Hanuman’s worship is said to yield protection from negative energies. Krishna Janmashtami is an annual Hindu festival that celebrates the birth of Krishna, a personification of the divine and the hero of the epic battle of the Mahabarata, which is in the Hindu scripture, the Bhagavat Gita. Since the last 5100 and odd years, the birth of Krishna has been celebrated. Hindus celebrate Janmashtami by fasting, singing, praying together, preparing and sharing special food, night vigils and visiting temples. The day assumes great significance because on this day we remember all the qualities that Krishna came to manifest. It is a day to also remember the Bhagavad Gita scripture and internalize the knowledge. Krishna’s teachings are most relevant to our times, in the sense that they neither let you get lost in material pursuits, nor make you completely withdrawn. They rekindle your life – from being a burnt-out and stressed personality to a more centred and dynamic one. Krishna teaches us devotion with skill. Ganesh Chaturthi is another important day celebrating the birth of Lord Ganesha, who is known as the Remover of Obstacles as well as the god of wisdom and intelligence. The ritual preparation includes a statue depicting Ganesh which is decorated with flowers. Chanting of the holy name in Sanskrit is part of this celebration and is done for all Hindu festivals to invoke divine blessings and to heighten energy and consciousness in oneself and environment. The Holi Festival is a spring festival celebrated with much fervour in India, also known as the festival of colours or the festival of love . The festival signifies the victory of good over evil , the arrival of spring , end of winter bringing in the air the fragrance of flowers and aura of warmth and happiness. This has come to be celebrated throughout the world. Holi festival is the time of fun, eating and celebrating together the different colours of life. Coloured powder is thrown about and sweets , flowers and color adds to the sacredness of festival. It brings in the sense of togetherness , freedom and connectivity. The oneness in the hearts and warmth removes misunderstandings if any and ushers in a feeling of friendliness, love joy and bliss. Karva chauth is another festival- a fasting ritual observed by all married Hindu women who seek the longevity, prosperity and well-being of their husbands. This festival is very popular amongst married Hindu women in the western and northern parts of India. Karwa chauth is a very important as well as a difficult fast that all married Hindu women observe. The festival begins just before sunrise and ends after worshiping the moon and doing prayers at night. No water or food can be consumed once the sun rises. The fast is only broken after seeing the moon and after all rituals of that particular day have been performed. When the moon has appeared, women break the fast after they have offered water to the moon. Shivratri is another huge Hindu festival and means ‘The Night of Shiva’, observed in honour of Lord Shiva (The meditative aspect of the Universe). The 14th night of the new moon, in the dark fortnight during the month of phalgun is known as Shivratri’. This day brings deep rest to the mind and the spirit. It is celebrated with Rudrabhishekam (singing of ancient Vedic mantras which is accompanied with a ceremony of washing a Shiva Linga , a symbolism of Shiva, with milk, curd, honey and rose water. It is like a new year for a seeker and is considered as an auspicious day for spiritual growth and material attainment. Lord Shiva is considered the soul of everything. There is said to be no difference between our soul and Lord Shiva. Since Lord Shiva symbolizes truth, peace, beauty, and infinity, He represents the essence of our soul as well. It is what we are made of. When we worship Lord Shiva, we recognize these higher qualities within ourselves. According to Indian astrology, there are certain days and time frames in a year that are conducive to spiritual growth and meditation. Mahashivaratri is one such day. Meditation gives access to something beyond the scope of the mind and intellect. There is a point during meditation when we experience space: a space of nothingness and love. This experience takes us to the fourth level of consciousness that is also called Shiva. For Hindus, dharma is the moral order of the universe and a code of living that embodies the fundamental principles of law, religion, and duty that governs all reality. Dharma is a central concept shared by many religions. According to Hinduism, the meaning (purpose) of life is four-fold: to achieve Dharma, and eventually Moksha/liberation. Dharma, means to act virtuously and righteously. That is, it means to act morally and ethically throughout one’s life. These are some of the religious days observed, that are designed to help facilitate a life of virtue. It is said that when true wisdom dawns, it gives rise to celebration, and celebration is the nature of the spirit.